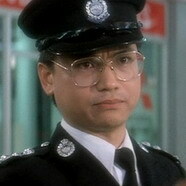 Just watched "to be number one" the one with Ray Lui.But joy sales didn't translate texts,can anyone help? my English is not very good, hower, i hope i can do a favor. I am very glad to come here! I love HK movies, especially Shaws Brothers'. Welcome to hkmdb and thanks for your help. I found Kent Cheng's biography in chinese.I tried to translate it via google and yahoo,but results didn't make any sense.Is there anyone who is willing to help me? There's a big difference between Chinese and English, so those translation results basically don't work. Sorry, my English is not good enough to do it.